Mia Manson knocked the stuffing out of the US freshman girls pole vault record today in Lawrence. Rose family members Michaela, Michail, Michailyn, and Michael all brought home some serious hardware this summer from the USATF Championships and AAU Junior Olympic Games. In total they brought home nine medals including two golds, one silver, and three bronzes. Kain Medrano was one of Colorado's top performers at last week's USATF Junior Olympic Nationals meet in Kansas. File photo. 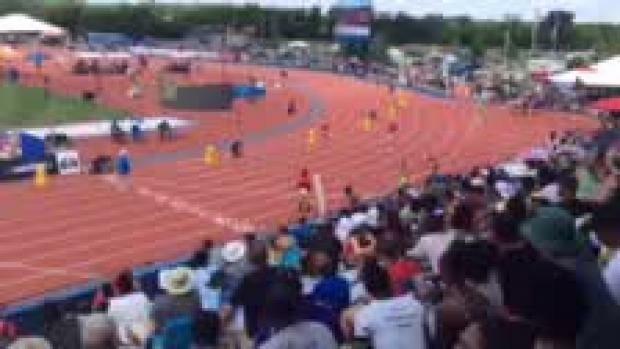 Summerville's Imagine Patterson ran the fastest 400-meter hurdles preliminary time at USATF Hershey Junior Olympics.